Shaping the career of students is one of the toughest tasks, it is just next to the art of shaping a wet clay into a beautiful pot. And when it comes to career options, many students are still unaware of the Networking as a Career and how big scope it offers for a great career. Considering its responsibility Network Bulls - India's #1 Cisco Training Institute regularly conducts free workshops and Industrial visits for students all across India. Workshops are arranged by Network Bulls at College & University premises to educate the fresher’s about one of the most booming field of employment – “Networking”. And today we will go through workshops organized by Network Bulls in Aug 2017. What Students learn at Network Bulls Workshop? The sole motive of these workshops is to educate students about networking – a booming field of employment. Students are provided a brief introduction to networking as well as to the numerous other career options available in the field of networking. It helps them to take the right decision in their career and pave a path towards their bright career. Different devices details like routers, switches, hubs etc. Career growth in the networking field. Our workshops are generally followed by the industrial visits which give practical exposure to the candidates. Where Network Bulls Conducted Cisco Networking Workshops in Aug? All of these workshops are conducted by CCNA, CCNP & CCIE Certified Network Bulls Trainers. Our expert trainers visit the institutes for conducting the educative session and ensure that they resolve the queries of students instantly. Let's see what these colleges and universities have to say about Network Bulls Cisco Training Workshops. So, this was the feedback of few of the colleges in which we conducted the workshops. Soon, we will be back with more updates about workshops and Industrial Visits. 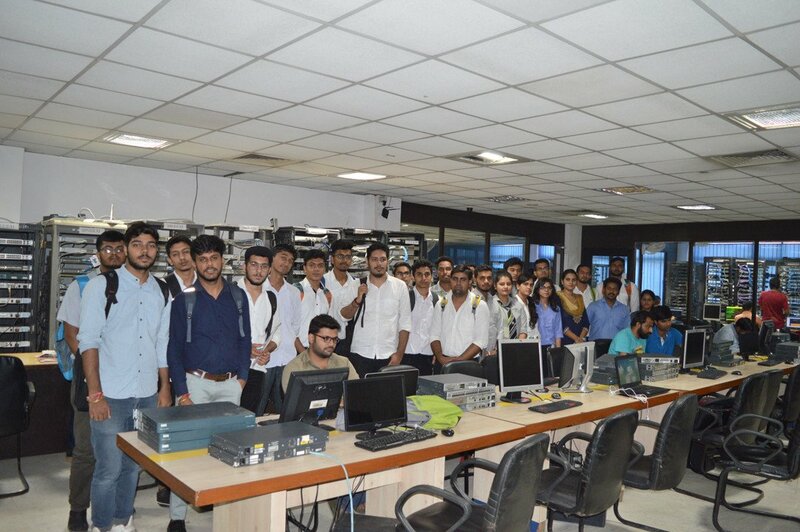 Network Bulls being a most trusted Cisco CCNA, CCNP & CCIE Training Institute in India regularly conducts Workshops & Industrial Visits by associating with colleges and universities all across India. Students get big benefits from these workshops as they get to know more about Networking as a Career and Scope of Networking in the real world. To register you can visit our Gurugram center or call us on our toll-free number 1800-313-2545. International students can connect with us on Whatsapp over +91-8745885377 or +91- 9540774889.
hello please , i wuold like to get the information on the following : 1. can some one get the CCNA, CCNP and CCIE trianing with your company? 2. for some one that does not have any networking experince, how does the course work?